So, fair warning: block some time for yourself before sitting down with this book—the more the better, as it’s 500 pages and requires some measure of focus, unless you’re more tech savvy than me, in which case you’ll probably fly right through it. The premise is this: Rebecca is married to Philip, a workaholic physicist obsessed with his “causality violation device,” which those of us with lesser intellect would call a time machine. She works part-time for an online dating service (the same online dating service, in fact, through which she met Philip), and tries not to think about a tragic event in her past, the memories of which follow her around like a stubborn fog. Her days are pretty routine, but something feels off—nothing she can quantify, really, just somehow wrong. There’s so much going on thematically that I can barely scratch the surface here: the ethics of data mining, interracial dating, what makes a good parent, the social effects of handheld technology…complex, fascinating stuff. As you read, you may notice odd things here and there and think, “Is something a little bit off?” just the way Rebecca does. 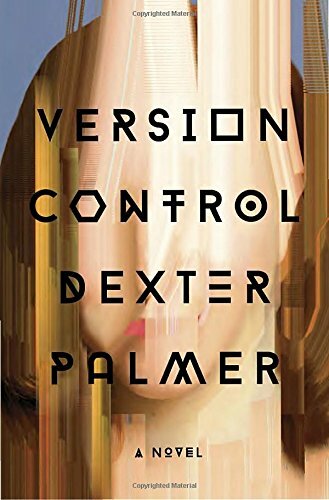 Stick with it—Palmer rewards the patient, observant reader. Fans of literary speculative fiction won’t want to miss this one—it’s in the same league as Atwood's Oryx and Crake and Ishiguro's Never Let Me Go (both of which you should run-not-walk to get your hands on, if they haven't already crossed your reading radar).